Has your tree outgrown its situation? Is your tree looking dangerous and unstable? Or have you suffered any storm damage? As beautiful as trees are, sometimes they are left and outgrow their situation. This can become hazardous to people, animals and buildings. Therefore trees and hedges require maintaining, whether you need us for a yearly hedge trim or the complete removal of a tree, Treescape are here to help. Treescape offer a clean and tidy service from start to finish. We are also happy to assist and complete any TPO/Conservation applications. 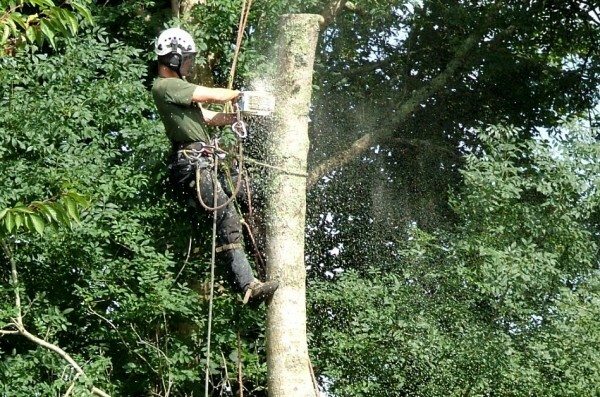 All of our tree work is carried out by NPTC certified, fully insured tree surgeons. All jobs are undertaken, from commercial contracts to the domestic garden, so contact us today.